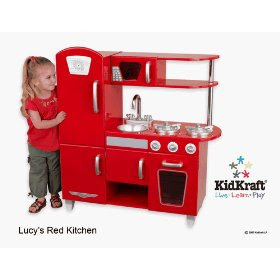 OR, the Funky Retro-Red Kitchen? 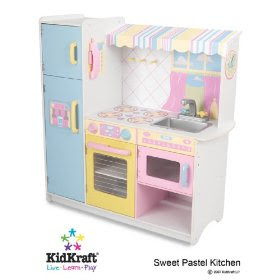 It will go in Boo Boo La La's room which is light purple walls, fish-themed bedding, pale pink ceiling and fabulous light green sheers and laundry basket. Other furniture is purple like the walls, white and light oak. 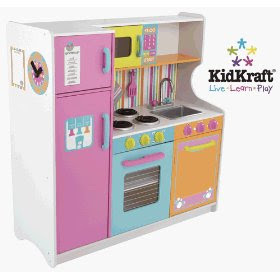 YES, being the baby she got hand-me down furniture and other cheaper pieces I thought would work...I want her kitchen to be cool! I vote for #1.....It is super duper cute. #1 is AWESOME. And, it sounds like it will go with the decor best. Encourage her dreams- maybe someday she can have my job when I retire. 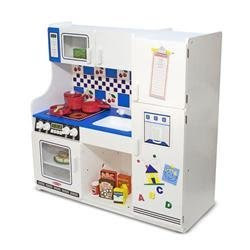 I like either of the large kitchens.. Have you seen the Step 2 Retro Diner? 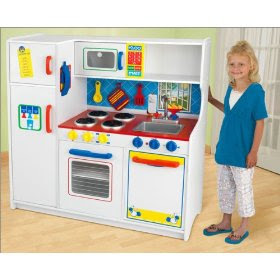 That one is super cute too, and it comes with LOADS of stuff! the melissa & Doug or red retro one are my vote!